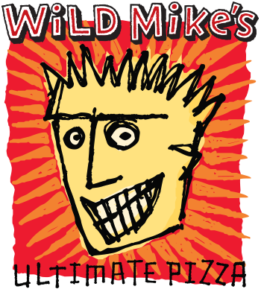 Wild Mike’s is an ultra-premium product that features high quality ingredients, including our signature zesty sauce made from scratch. 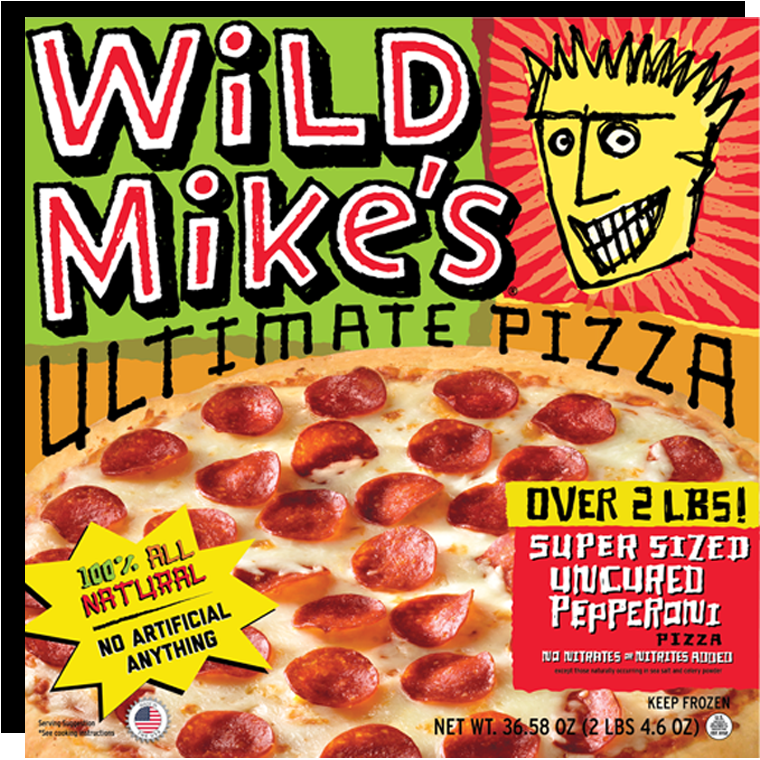 High quality pizza that feeds a family at a great value! 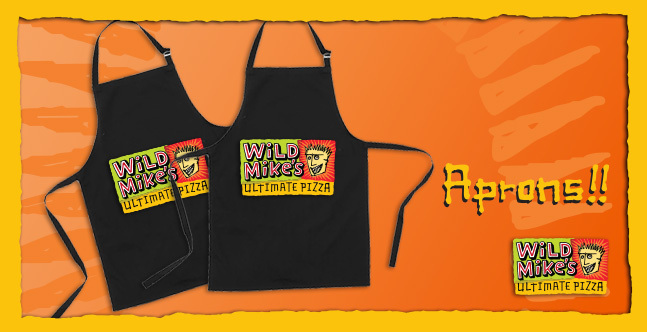 The kids can’t wait for pizza day when it’s Wild Mike’s on the lunch menu. 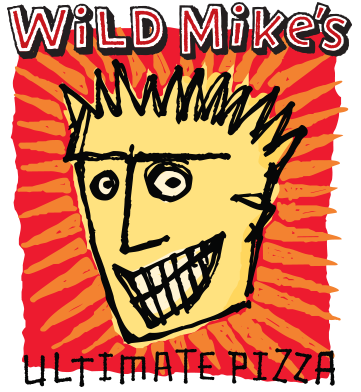 Want to carry Wild Mike’s in your school so bad you can taste it? 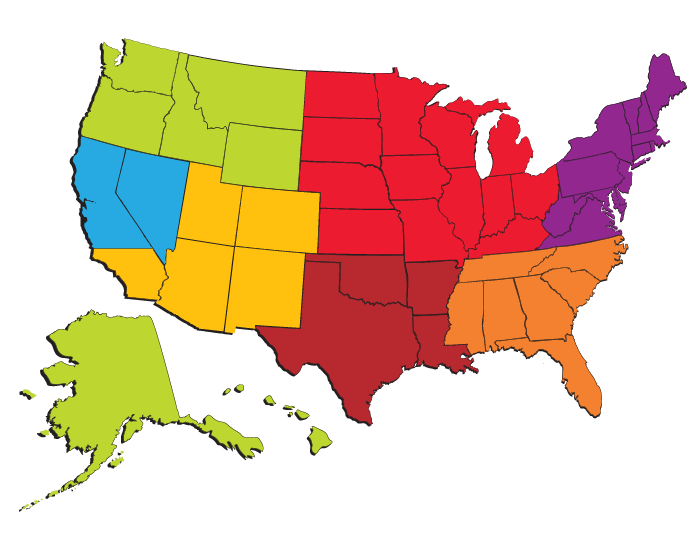 Our reps have you covered. Email us below! 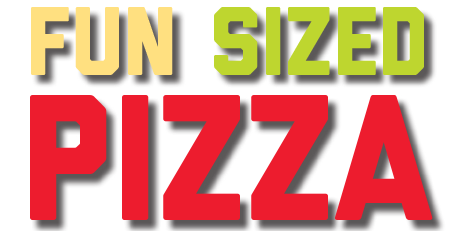 The most popular pizza size in the U.S. is 14 inches. 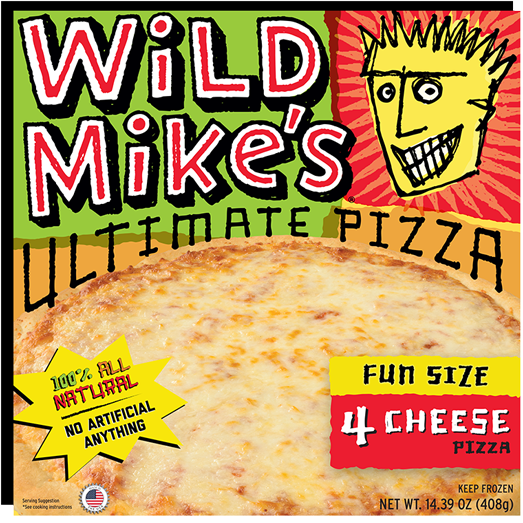 So who needs another 11-inch pizza in the frozen aisle? 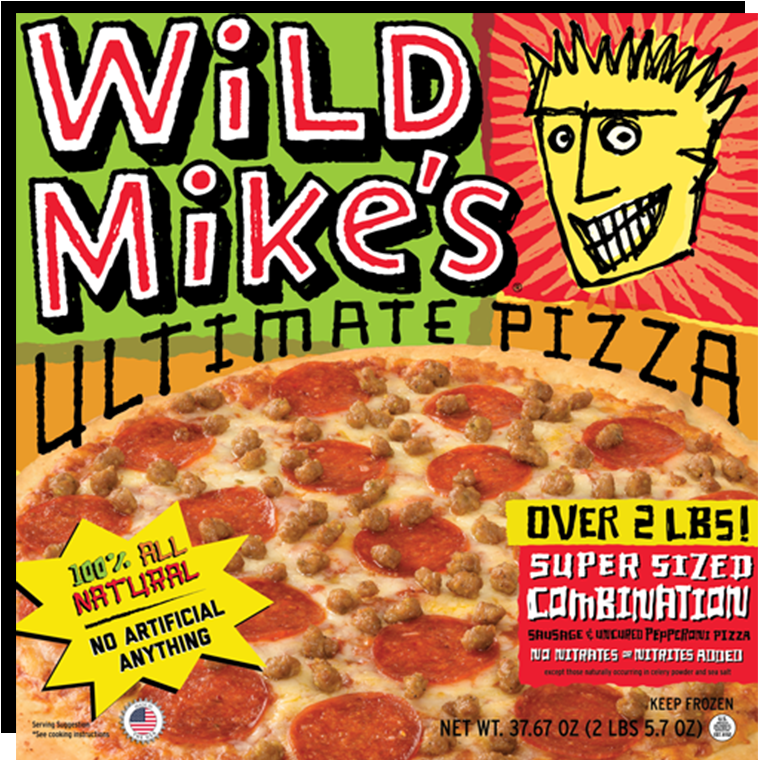 Wild Mike’s Ultimate 14 inch pizza feeds the whole family, and appeals to the masses! 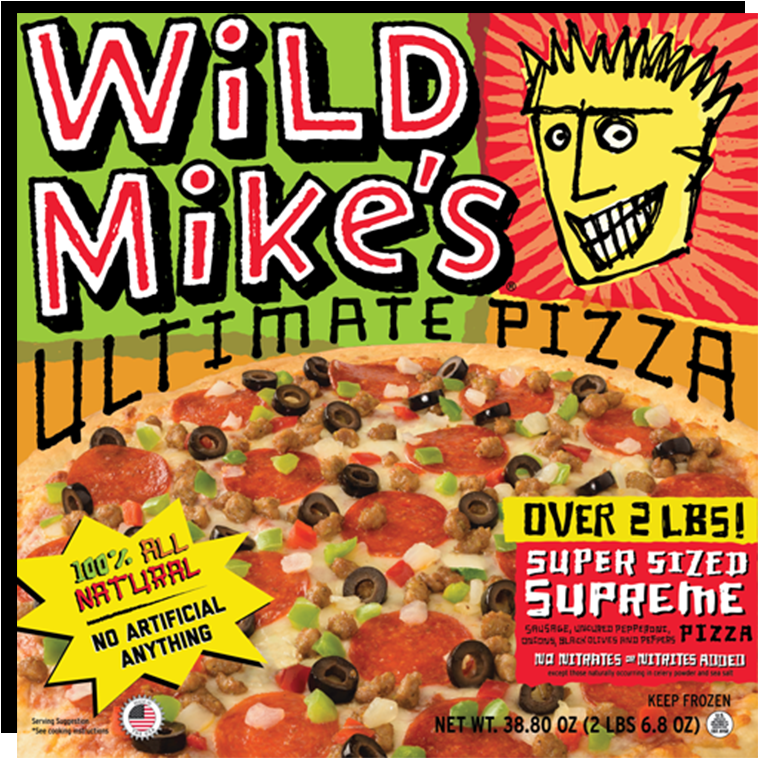 You’ve met Wild Mike’s Ultimate Super Sized Pizza — the pie that feeds the whole family. 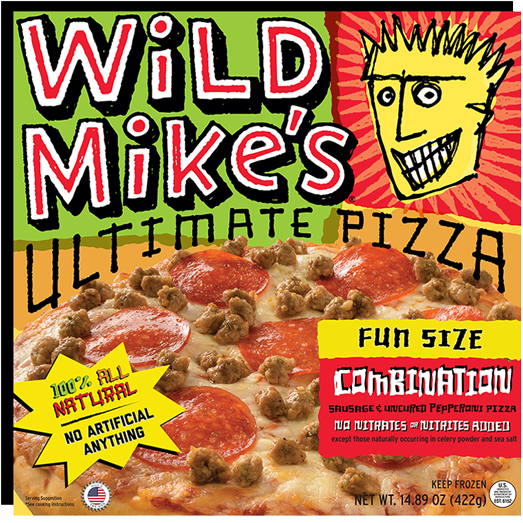 Now say hello to Wild Mike’s Fun Sized Pizza — the cure for the individual craving. Join the Revolution! 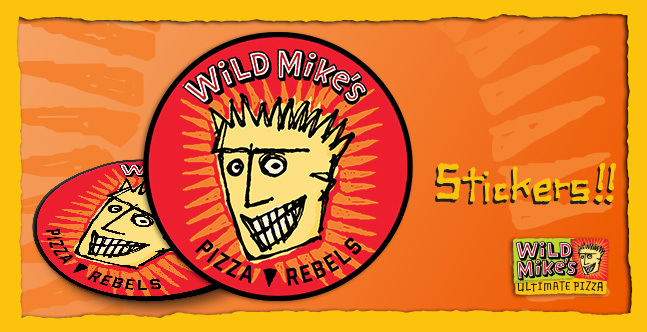 Our Pizza Rebels are part of our family. 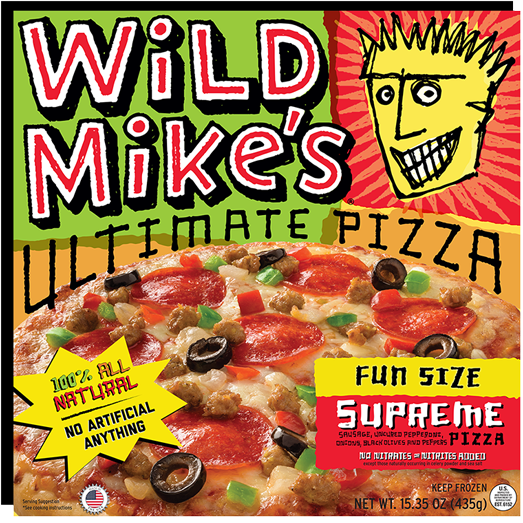 I just wanted to tell you how much my family loves your pizza especially the supreme. 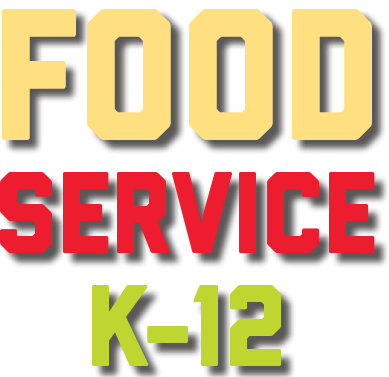 We have purchased other brands but nothing beats the taste or quality of yours. So a big thumbs up to you all from the Chase family! Just a note to say I have become a customer for life. 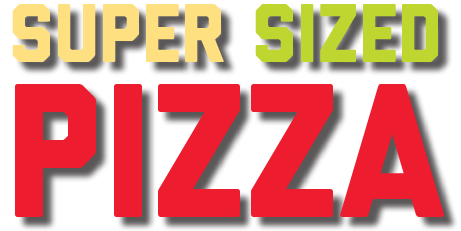 I normally do not write to a company but I bought the super sized sausage and pepperoni at a Wal-Mart here in Huntsville, AL. 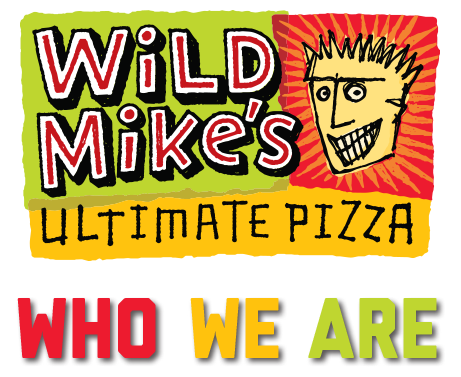 It was fantastic and as I said, I have become a customer for life. 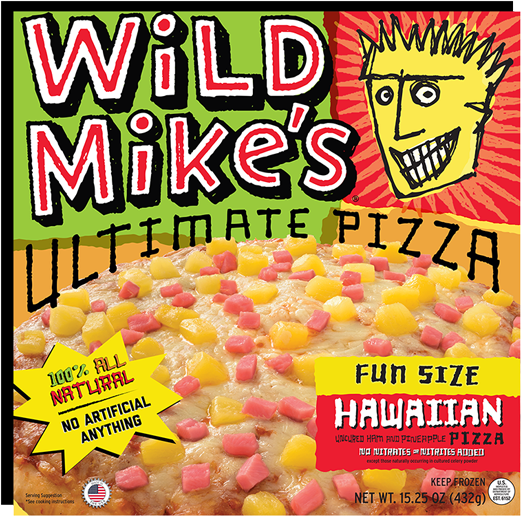 I wanted to drop you a line and say “Thank You” for making a pizza that doesn’t taste like the cardboard box that it comes in. 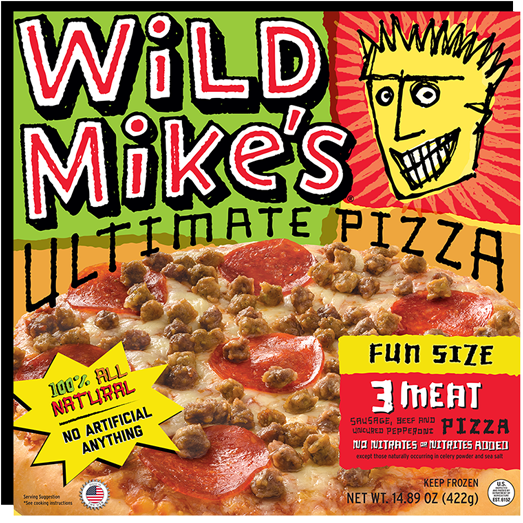 I’ve tried them all even the gourmet ones that promise only the best organic fresh crap they think taste good. 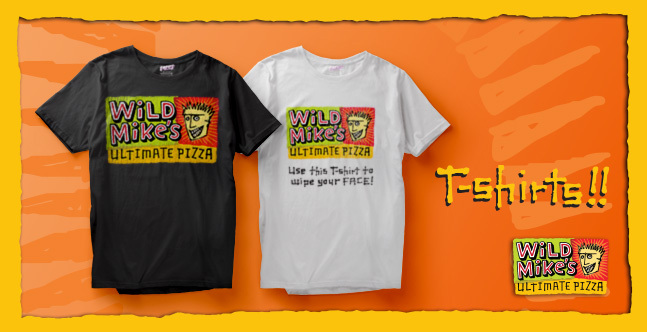 You kept it simple and you kept it with the right amount of everything so you taste real pizza. Keep up the good work! 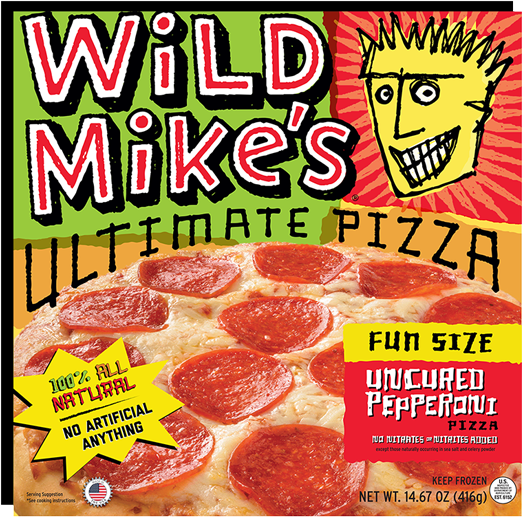 I’ll explore all your flavors and I know if you got the simple one right, the pepperoni you nailed the rest. 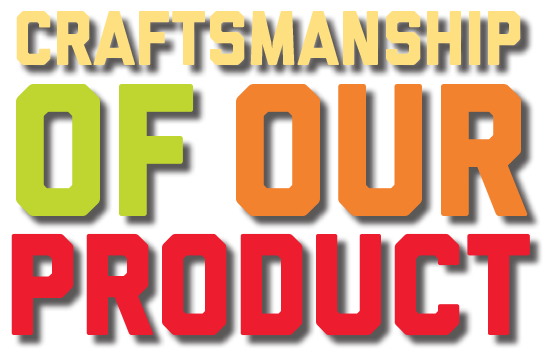 I am super impressed by your product. 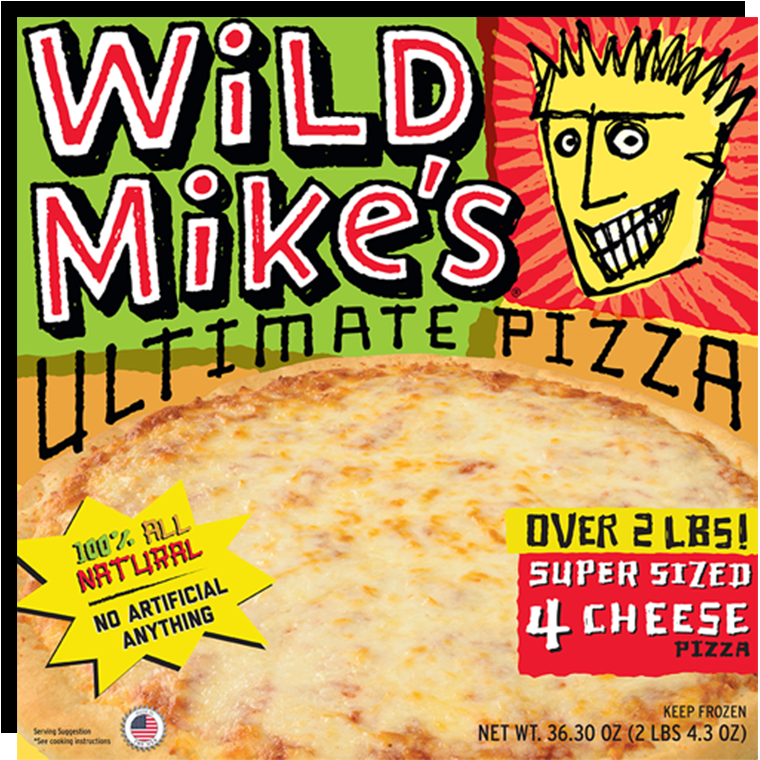 Over 2 pounds, delicious cheese and sauce and don’t even get me started on crust. I was also impressed on how it only takes 12-16 minutes for how big it is. 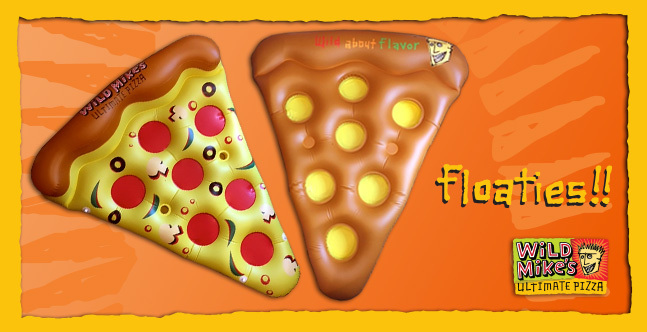 I’ve been a pizza lover for years. 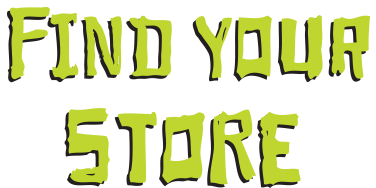 I started off with Tonys, moved to Jacks, Tombstone, but in the end they all started selling out and reducing the quality of their product. I hope you keep this up and I will never stop buying from you. 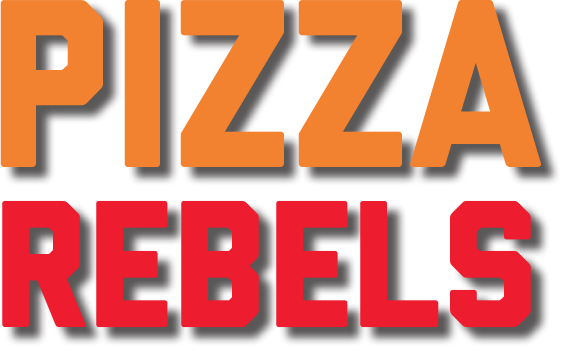 JOIN THE PIZZA REBELS REVOLUTION!